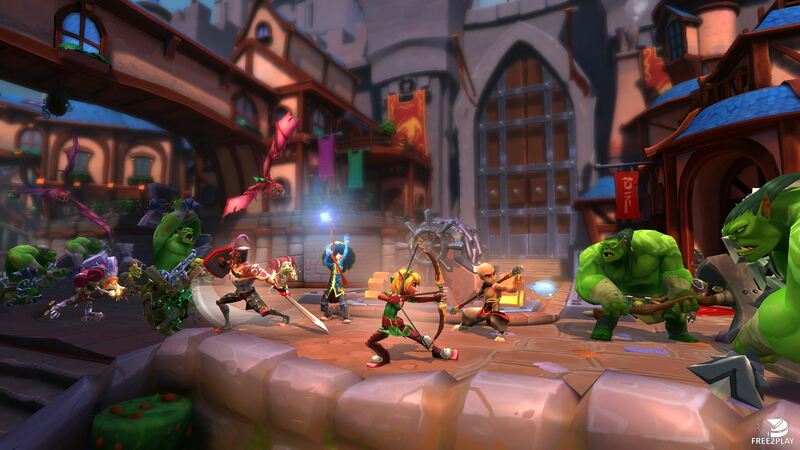 Dungeon defenders 2 is a free multiplayer game that uses Unreal engine 3 and combines tower defence with action rpg elements. 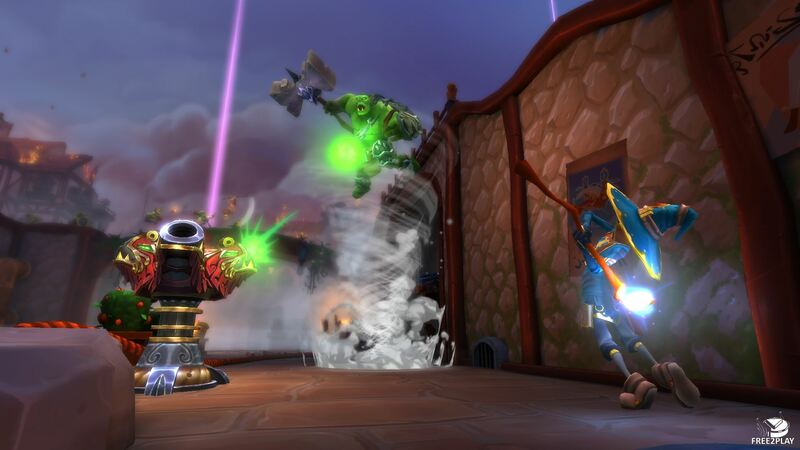 Players can play together and pick from differnet classes with different abilities and skills, they're all customizable, but the point is to fortify and defend a map with your friends and have fun killing what try to pass through. -	Kill monsters wave after wave to keep your gate secured. Players have to work together to protect their castle against waves of enemies, to do so they can kill the monsters themselves and build some defences to aid them, there are different phases for each, for instance the build phase is usually the first one and allows players to build their defences, then the combat phase kicks in and they can only slay their foes. They can move through the whole map to aid their teammates if the enemy is pushing hard on a specific area, then fall back to their position to defend their structures, they can use class skills and abilities to slay their enemies. In the combat phase players can only repair and upgrade their structures, but they can't build new ones though. There is a counter on the screen that shows the number of monsters of each wave, each wave stronger monsters will spawn and players will notice this as they will look differently. Apart from blocking the enemies from getting to the gate players can complete sub objectives which are minor tasks, such as defending an additional gate. 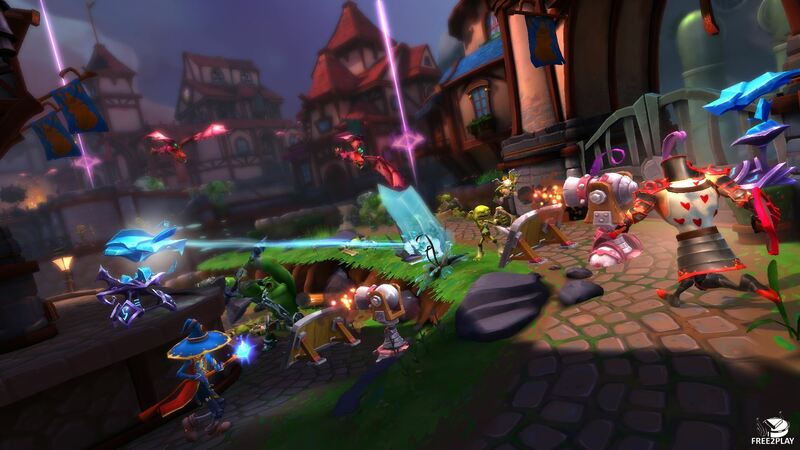 The gameplay is not a static though as the lanes may change over the course of the level and players may have to change their strategy. When some sub objectives are not fulfilled they will increase the difficulty of the current level for instance, if the enemy passes through one of those extra gates players will have to move their defences and themselves to cover that new point of entrance. A very interesting feature of the game is that you can combine traps to get extra effects, slowing enemies further or even dealing more damage. For instance the Huntress could set the geyser trap and send enemies to the skies were the aerial tower will crash them.